A new tape supposedly recorded by Saddam Hussein cannot be authenticated, say U.S. experts. A CIA spokesman says that after "extensive technical analysis" it is inconclusive whether the voice on the tape is Saddam Hussein, reports CBS News Chief White House Correspondent John Roberts. The speaker on the tape, aired on Al-Arabiya television, urged the rebels to escalate attacks against the occupation and "agents brought by foreign armies" — an apparent reference to Iraqis supporting the coalition. The tape said the only way to end the chaos in Iraq was for Saddam and his now-outlawed Baath Party to return to power. The CIA said it would review the tape for its authenticity. President Bush dismissed the recording. "The evil ones now find themselves in crisis and this is God's will for them," he said. The speaker also lashed out at Iraqis who cooperate with the U.S. military, calling them "stray dogs that walk alongside the caravan." 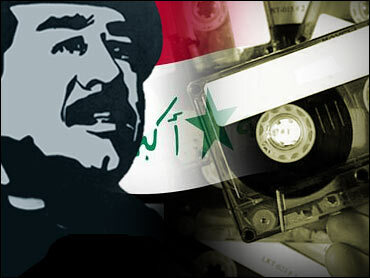 The last purported tape from Saddam was aired on Arab television Sept. 17. The CIA has been unable to authenticate that recording, saying the audio quality is too poor.